Everyone knows the name of Google's CEO, Sundar Pichai an Indian-born and who has been inspiring several people around the world. We all know him in terms of his professional life but is he living his personal life as great as his professional life? The tycoon is the leader of the mega company and married his long-time college girlfriend. Does he have children as well? Well, let's find something more about his personal life here! 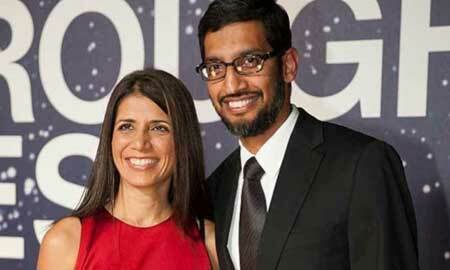 Google's CEO Sundar Pichai Is Married? Has Children As Well? Well, the tycoon is married to the love of his life. Yes, Sundar is married to the girl he met in college and fell in love. Her name is Anjali Pichai. They studied at the same college at Kharagpur where he was studying Metallurgical Engineering. They were in the same batch and Anjali was his classmate. Pichai recalls how hard was for him to talk to Anjali without a smartphone. But the thing is after graduation, he went to the U.S for further studies and she was still in India which led them not to talk for about 6 months but the distance led to more growing feelings. With a secure job in his hand, he thought that it was the right time to ask her for marriage so he asked Anjali's parents for permission. They tied the knot in India and again went back to the U.S. 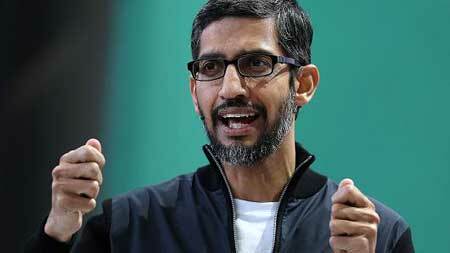 The couple has two children, a daughter named Kavya Pichai and a son named Kiran Pichai and the couple stays a little low-profile life. 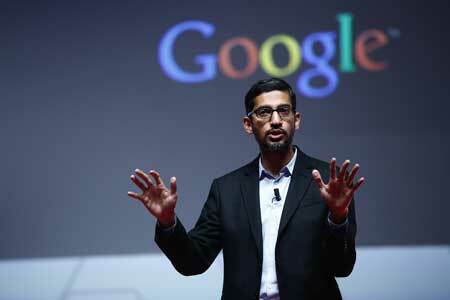 How It All Started For Sundar Pichai? Sundar had a little struggling time in his life. Though he was not from a wealthy family, he did struggle in his life for the place today he is in. He used to share a room with his younger brother in his two-bedroom flat. Sundar joined google in 2004 and was the person behind the creation of successful Chrome OS and Google Chrome. He previously worked as a Product Chief at google in 2008 and became the senior vice president in 2012. After Andy Rubin left the android department in 2013, he took over the android project. He also led the team for Google+ and Google Maps in 2013. Then he became the product head in 2014. Before joining Google, he used to work at Applied Materials in the Department of Engineering Product Management. He was born on July 12, 1972. 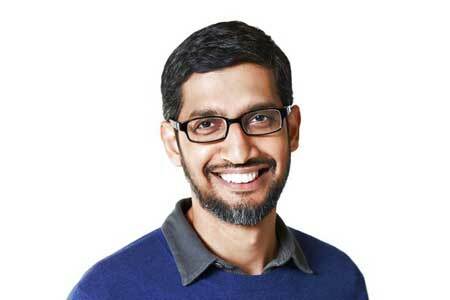 His full name is Pichai Sundararajan. He was born in Tamil Nadu, Chennai, India. His father was an electrical engineer and his mother was a stenographer. He has the talent to remember numbers. His first software program was a chess game. He earned his MS from Stanford University and MBA from the University of Pennsylvania. He was offered a job at Twitter, Microsoft as CEO but he refused it. He is a great fan of Cricket and the game "Flappy Bird". He was ranked as the highest-rated CEOs on Glassdoor in 2017. His net worth is estimated to be $600 million as of 2019.